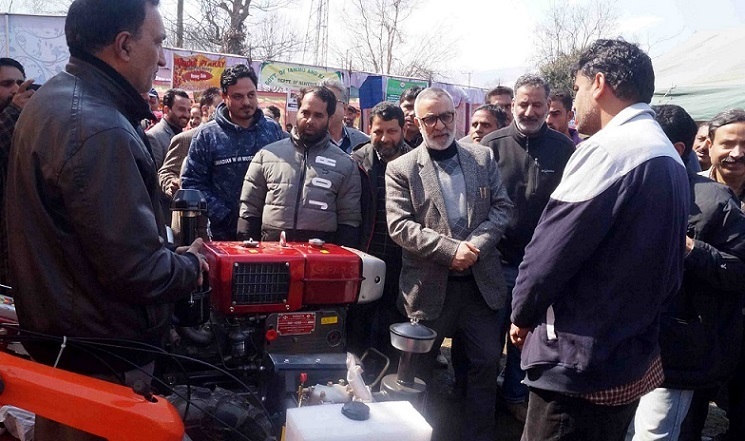 BARAMULLA, MARCH 10: Director Agriculture Kashmir, Syed Altaf Aijaz Andrabi inaugurated a day long Mega Kissan Mela at Dak Bungalow Baramulla. The mela was organized under Centrally Sponsored Scheme National Mission on Agriculture Extension and Technology (NMAET). The mela was attended by more than 1500 farmers of various villages of the district Baramulla. Speaking on the occasion, the Director Agriculture said that farmers should adopt latest technologies and innovations to boost the agriculture sector. He stressed on commercializing the agriculture crops by way of introducing exotic and high quality vegetables and other commercial value vegetables to earn more profit and increase their income. He further added that Kashmiri Rice is a good quality and should be branded as Meetha Rice and its trade should be done in the national market. He asked the officers for cultivation of area specific crops and stressed about value addition and increasing the marketing of the products. He also instructed officers for providing high quality and disease resistant variety of seeds to the farmers for sustainable and profitable agriculture. He also stressed for accommodating more number of farmers under farm machinery equipments and mechanization. The officers of the Agriculture and allied departments shared the latest techniques to be adopted in the Crop Husbandry, Apiculture, Mushroom and Vegetable Cultivation, Organic Farming, Horticulture, Poultry- Sheep Rearing and Sericulture sectors. Moreover farmers were given knowledge of different Centrally Sponsored Scheme in vogue in respect of Agriculture activities and different incentives available to them under these schemes and also literature on different techniques have been distributed among the farmers during the Mela. The different kinds of stalls were established by various departments and private sectors to promote the schemes. The agriculture stalls exhibited modern machinery, latest equipments and implements, high quality hybrid seeds, knowhow of apiculture, mushrooms and flagship schemes of different stalls. The chief guest visited these stalls and interacted with farmers to get the feedback of various schemes. 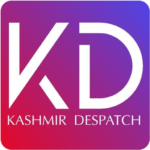 The Chief Agriculture Officer Baramulla, Mohammad Muzaffer Hurra on this occasion gave detailed presentation with regard to the incentives being provided to farmers of the district. He said that the machinery items like tractor, power tiller, IP sets and other farm machineries have been distributed to the farming community of the district during current year involving a subsidy of more than 220 lakhs. He also explained the steps being taken by the department to double the farmers income by year 2022. Joint Director Agriculture Inputs, Deepak Kumara Kachroo, Project Coordinator Mushroom Avinash Chander Peer, Sectoral Officers of the allied departments Sericulture, Sheep Husbandry, Animal Husbandry, Horticulture, Fisheries, and officers of the Agriculture Department were also present.